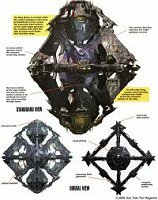 The Borg Queen ship is the most unusual design of Borg ships on Federation record. It was observed by Voyager in 2375. 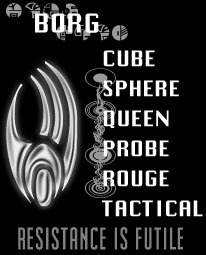 As it's name implies, it is the ship the Borg Queen uses for travel and while docked at Unimatrix One. Smaller than a Cube, the Queen ship consists of an elaborate framework that connects it's modules together. The spherical inner structure houses the Queen's central chamber. The sharply angled apexes at each corner make it appear diamond shaped, with the typical Borg hull structure including partially exposed areas glowing green. The small size gives the Queen ship excellent maneuverability. Like other Borg vessels it is transwarp capable and armed with Borg weaponary making it a formidable offensive vessel, but is usually escorted by multiple Cubes. It can enter a transwarp conduit faster than a Cube, and fire photonic missiles while in transwarp. 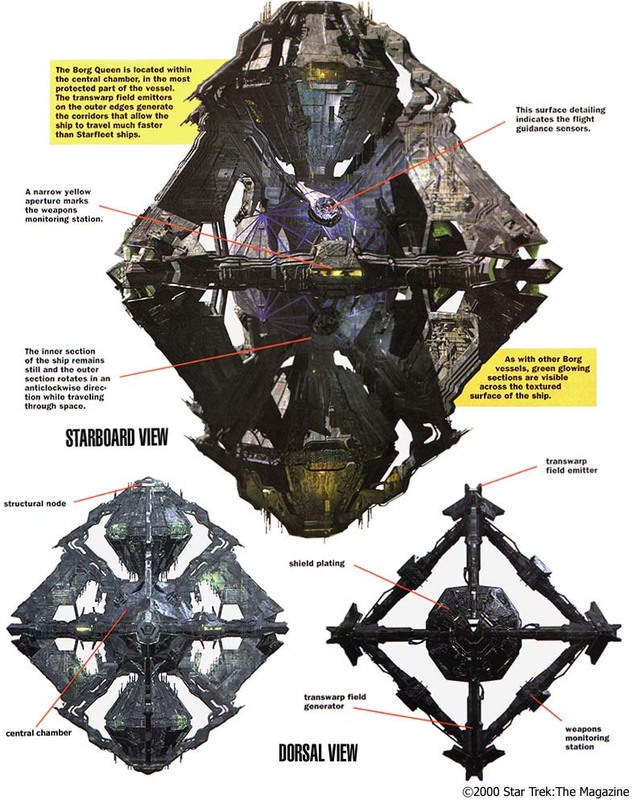 The Queen ship has an assimilation chamber and large crew of drones. The Queen ship that pursued the Delta Flyer was destroyed when Voyager fired photon torpedoes at the transwarp conduit.